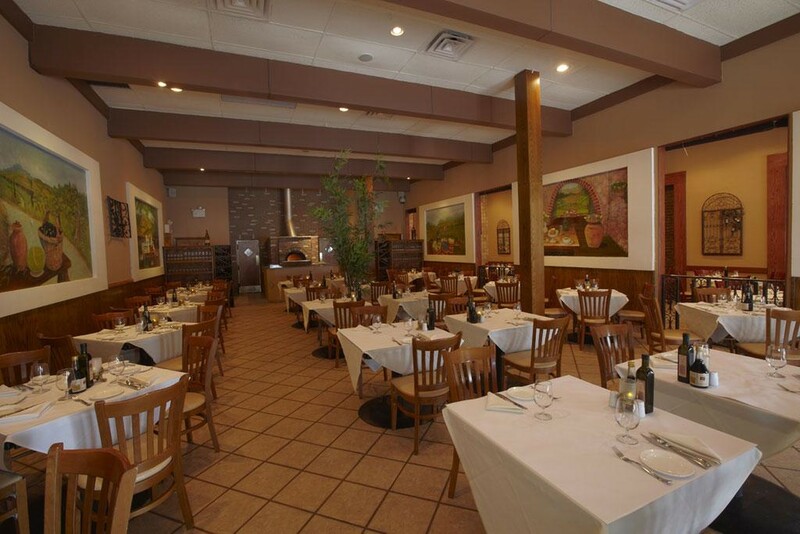 Casual Italian: the reliable, neighborhood spots you want to be at every Sunday night. Here are our favorites. Our favorite places in Astoria for tacos, Greek food, and more. Trattoria L’incontro was not likely to be a restaurant we would ever actually go to, let alone one that we would review. At least that’s what we thought two years ago, when we were here to shoot some video content with one of our artists. It’s not that Trattoria L’incontro seemed like a bad restaurant at the time. It just seemed like a really corny restaurant. And it was in Queens. Fast forward to present day, and here we are ready to tell you that Trattoria L’icontro is not only awesome, but worthy of a trip to Astoria with a group of your friends. If you currently live in Astoria, probably none of this is news to you, and you’re probably just annoyed that we are writing about your neighborhood like it’s a Mexican border town. “Can you believe we actually went there! ?” Sorry about that. We’re learning. So what changed? For starters, we pulled our heads out of our asses. All it takes is about five minutes of research online to figure out that people go absolutely apesh*t for this place. We also finally started getting into some new parts of town to eat food, and Astoria is one place we know we need to visit more. So we put a dinner with some friends at Trattoria L’incontro on the books, and what do you know...we loved it. What’s funny is that all of the things we initially took to be a sign of suckage, were actually quite charming. The restaurant is basically what you’d imagine Little Italy in Long Island to be. Everything is over the top and overstated. The walls are sponge painted. The hosts and servers wear earpieces like some kind of guido secret service, or the staff from an Old Navy in Naples. There are more “specials” than there are things on the actual menu. The chef’s name is Rocco Sacramone, and he looks and acts like a guy that Ray Liotta would play in a movie. But none of that turned out to be bothersome because it’s all honest. No gimmicks, just really good Italian food and really nice people. So listen when we tell you to jettison any preconceived notion and take some friends out to dinner here. Trattoria L’incontro is the perfect place for one of those “once a year” kind of meals where you eat way too much and come home with a purple mouth. Especially during the holidays. Inside this basket are little triangles that the restaurant refers to as “focaccia.” We’ve never seen focaccia like this, but it’s incredible. To us it almost resembled little wedges of fried pizza dough. Either way, slather on the tomato spread that comes with it and be happy you’re alive. A basic and tasty tomato salad that will be doled out to everyone at your table with care, assuming you’re all sharing. Really can’t go wrong with this one. This excellent grilled fig salad was one of the thousand “specials” read off to us, but we’re betting it will be available if you’re there when figs are in season. Unfortunately, I have no idea when that is. You can’t go wrong here when you go simple. The red sauce at L’incontro is incredible, and it’s on display in this simple plate of pasta. The meatballs are big and meaty too. This is exactly what you want if you’re craving spaghetti and meatballs. Another classic test of a good Italian restaurant. The lasagna here is absolutely huge, and really good too. Lucky for me, this bucatini with mushrooms and cabbage was on the specials menu on my visit. All you really need to do is look at it to know it was awesome. I also ate as much as my body would possibly let me, and still took home enough left over to fill a bathtub with. L’incontro has about fifty ways to eat veal, both on and off the menu. Lots of it is stuffed with things like cheese and spinach, and then more cheese and spinach. This, however, is a seared chop that’s about two inches thick and simply prepared. Sometimes simple is good. Here it’s great. You’re going to want to hit some gelato at the end of your meal, and you’re going to want the hazelnut flavor. It’s house made and there are real chunks of hazelnut all up in it. So good. On the other hand, you don’t want to mess with this napoleon. It’s layered with a banana cream, which we were not expecting. Nobody likes a surprise banana. And this just isn’t very good. An alpha-dog hot spot that most people around town will passionately defend as the best of it’s kind, even though the service is cold and the food heavy handed and extravagant.